The specific objective of the B4SS project in Indonesia is to demonstrate and promote the use of biochar-based soil amendments to improve productivity of acidic (humid tropics in South Sumatra) and heavy clay soils (pronounced wet and dry seasons such as in Nusa Tenggara Timur (NTT)). In addition, basic and advanced biochar production technologies will be compared with regard to the quality of the biochar that is produced, how these methods perform in a complete life cycle system and their cost-benefit context. 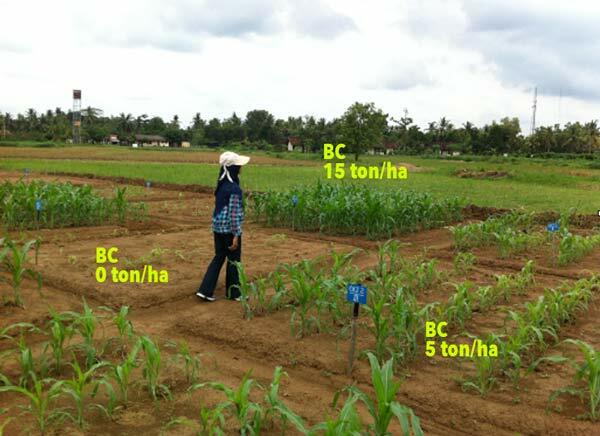 Biochar for soil fertility improvement and poverty reductions: Much of the soil in Indonesia and many other countries in the tropics is considered poor from an agricultural perspective, primarily due to acidity, and nutrient – or water limitations. However, in many cases the right management and cropping system have not been used to make these locations productive. Biochar can be rich in alkaline components (Ca, Mg, K) depending on the production conditions used and when applied to acidic soil can contribute to the neutralization of soil acidity (albeit not to the same extent as conventional lime) and to a decrease in the solubility of phyto-toxic metals such as aluminum. In addition to this benefit, biochar itself can hold and exchange nutrients (N, P, K, Ca) and could therefore reduce nutrient leaching to the subsoil in weathered, low-cation exchange capacity soils. These two chemical benefits lead to an improvement in soil fertility when biochar is added to soil and are likely a major reason for the observed doubling of harvest in the poorest soils such as in South Sumatra, as indicated by Ca/Al rations increasing from 0.3 to 1.7 upon the addition of biochar and harvest yields strongly increasing. As a consequence, there is scope to explore biochar to reduce poverty and improve livelihoods. Beneficial effect of biochar on acidic soils in Sumatra. The third beneficial effect of the addition of biochar to Indonesian soils is physical, whereby the biochar improves soil structure and increases water retention in soils with low intrinsic water holding capacity (viz. sandy soils). On the other hand, biochar may improve internal drainage of water from heavy clay soils (often Vertisols) in temporarily flooded systems such as in Nusa Tenggara Timur (NTT), due to better soil structure and aggregation. 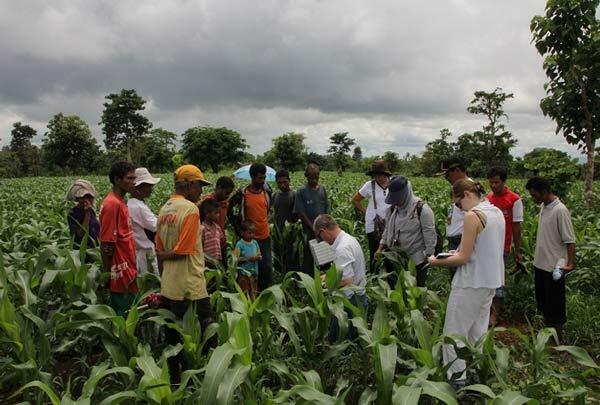 In NTT ongoing studies conducted by the Norwegian Geotechnical Institute (NGI), the Norwegian University of Life Sciences (NMBU) and their partners have shown that the studied biochar has a double beneficial effect on soil water management. This is because in the short wet season biochar helps to drain the Vertisols, avoiding water inundation, and in the prolonged wet season, it helps to retain water, allowing a second growing season in some areas. 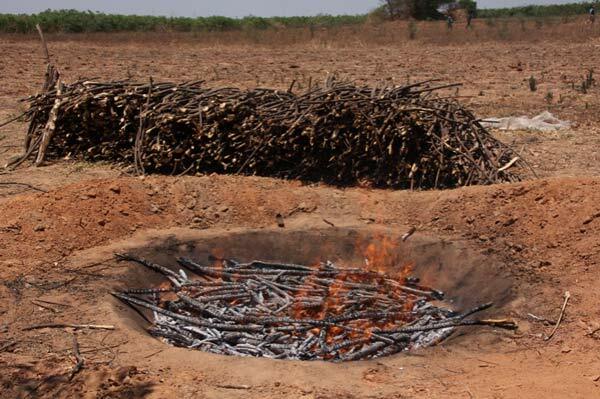 Primitive charcoal technology whereby biochar is produced by charring biomass in a hole in the ground or by traditional brick kilns will result in the emission of toxic gases, such as carbon monoxide, and greenhouse gases, such as methane. To avoid these emissions, improved retort technologies have been suggested. Within this project, we will implement a new concept, the flame-curtain (“Kon Tiki”) kiln, to make biochar. Research conducted by NGI in Nepal has shown that the appropriate use of flame curtain kilns can lead to up to 10 times lower emissions of toxic or greenhouse gases than traditional kilns. The flame curtain kilns can be quick (biochar can be made in hours instead of days), simple and essentially free of cash charge / material cost (most farmers can build one). The NGI/NMBU/ISRI team at West-Timor. 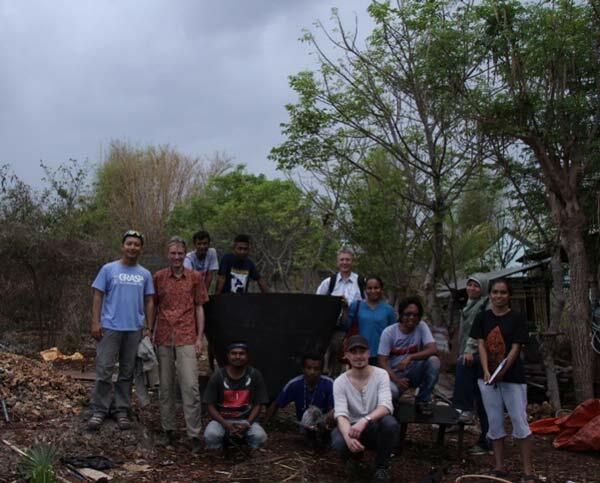 Currently the Norwegian Geotechnical Institute (NGI), in collaboration with the Norwegian University of Life Sciences (NMBU), is involved in many ongoing biochar activities that focus on investigating the agronomic benefits of biochar amendment to Indonesian soils. This work is being carried out via controlled field tests and activities to promote implementation of biochar in areas where it could prove beneficial. 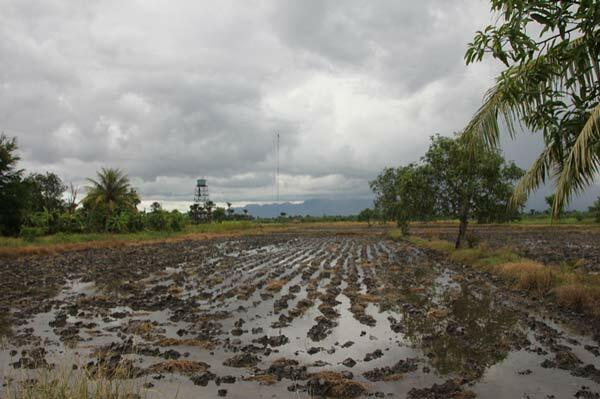 Extensive field experiments have been carried out in Lampung, South Sumatra, where the positive effects of biochar over several planting seasons have been documented. Two different types of biochars (made from cacao shell and rice husk using an Adam retort kiln) have been tested to grow three different crops (upland rice, low land rice and maize). The effects of these biochars have been followed over five planting seasons. 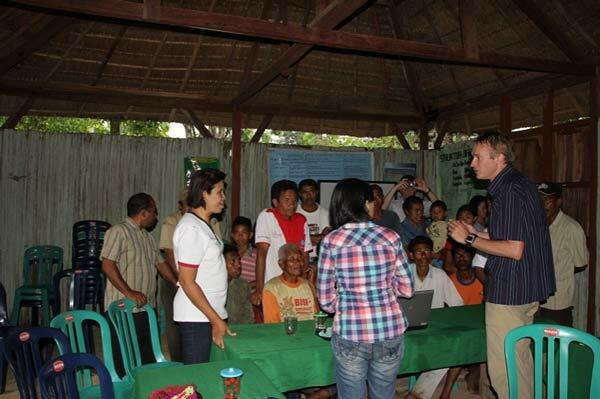 Several farmer trials have been carried out in NTT to assess the implementation possibilities in this area. Biochar has been applied and monitored for two growing seasons in Vertisols and a beneficial effect of biochar application has been noted. The B4SS project will allow considerable expansion of the ongoing biochar activities in the pilot areas in South Sumatra (Lampung) and Nusa Tenggara Timur (NTT; West-Timor, Sawu and Sumba). NTT has a prolonged dry season, which is projected to become even drier under the current prognosis for climate change. This situation is very different from the humid tropics of Western Indonesia (including South Sumatra and Aceh). Thus, the vulnerability of NTT to the effects of climate change exceeds those in South Sumatra and Aceh. Field trials. 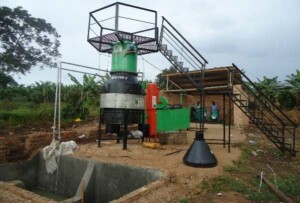 Field tests in Lampung, Sumatra, will be done to unravel the effect of ameliorating acid constraints from acidic Ultisols upon dosing with a range of biochar formulations. The immediate positive effect on crop growth often observed when the tested biochar is amended to soils in the humid tropics of Western Indonesia is likely to a large extent ascribed to the increase in pH observed when alkaline biochar is added to acidic soils. The extent to which this contributes to crop growth increases will be investigated via a comparison of biochar amendment with lime and ash amendments which are also tools used in order to increase the pH of an acidic soil. Moreover, the effects of the addition of biochar subjected to experimental depletion of its alkalinity, will be compared with the effects of adding untreated biochar. Further details are given below. Chemical follow-up, most importantly exchangeable Al, CEC, pH, and C contents will be done to understand the yield effects. Cacao shell will be used as feedstock in Sumatra. Biochar implementation. The B4SS project will also make it possible to compare the implementation and acceptance of various biochar technologies and the resulting chemical and physical properties of the biochars produced using NTT as the case study site. Biochar produced in flame curtain kilns will be implemented in 21 villages in NTT, which have around 100 farmers each. These simple flame curtain kilns will be compared to Husk Power System (HPS) gasifier units, where electricity will be generated from maize cob gasification. Biochar is a by-product of this technology and can thus be used as a soil amendment. A comparison of these two technologies allows for an interesting closer look at the socio-economic drivers for biochar implementation. The flame curtain kilns are cheaper and much simpler to implement than the HPS, with the latter requiring much higher investment (up to 100,000 US$), although electricity is generated as a payback (25 kW for up to 10 h per day at a feeding rate of 500 kg biomass per day, without the possibility of energy storage). The B4SS project will allow facilitation of the introduction of Husk Power System gasifiers in at least one village, and optimally in three villages (one in each NTT district). Electricity-generating gasifier from “Husk Power Systems”, India (Uganda, project by Norges Vel, also partner in Indonesia). The B4SS project will allow implementation of this technique in Indonesia. 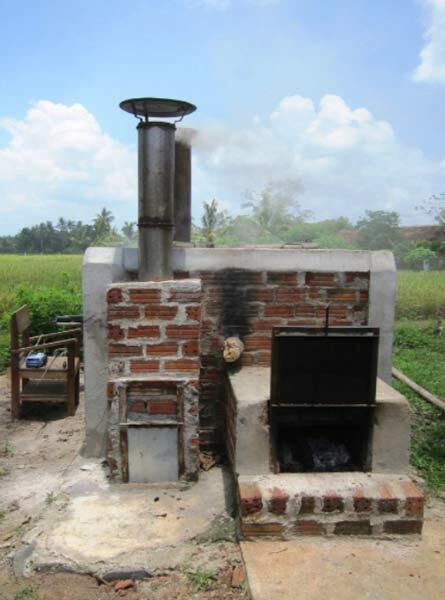 Improved clean retort kiln (Indonesia, Lampung) that can be extended with an oven for bread baking or rice drying. The flame curtain kiln is relatively easy to operate, and allows biochar to be produced rapidly and cheaply. Free-of-charge conical hole in the ground, cheap, fast and good biochar but without energy generation. 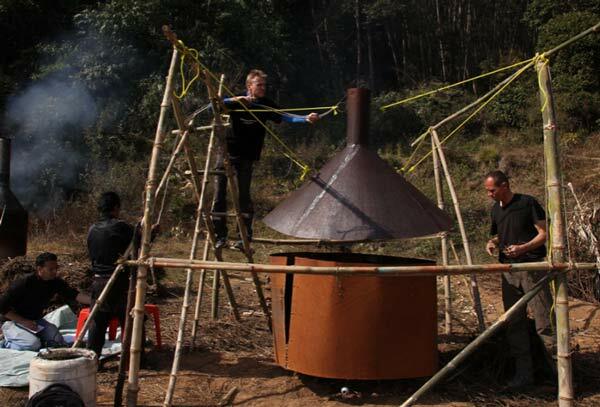 Metal flame curtain kiln during emission measurements in Nepal. Emission factors (g/kg charcoal) of CO, CH4, smoke, as well as the sum of all products of incomplete combustion, PIC. All measured with same equipment and measurement principle (Cornelissen et al., submitted). This shows that especially CO emissions are much lower for the flame curtain kiln than for traditional or retort kilns. 3) Life cycle assessment (LCA) of biochar use for improved soil fertility: The project will also allow the undertaking of an LCA study to evaluate the beneficial use of biochar from a complete life cycle perspective. The LCA will provide information about health effects, energy impacts and effects of different land use in the wider biochar framework. A simple, first LCA will compare the various kiln methods to generate biochar, whereas at a subsequent stage the co-benefits of biochar (ie, soil fertility improvements) will be included. 4) Cost-benefit analyses (CBA) of biochar use for improved soil fertility. The socio-economic impacts of biochar implementation in a rural setting will be studied in order to facilitate the introduction of biochar. Wider use of biochar and the balancing of climate, agricultural and other potential benefits of different biochar technologies and uses must be based on a solid analysis of all costs (including risks) and benefits. The B4SS project will allow these trade-offs to be investigated using NTT as the case study site. We will utilize environmental data from the LCA study and provide a more comprehensive assessment of all costs and benefits of biochar use. An important finding from the B4SS project will be a sound recommendation of how biochar could be best utilized for achieving multiple benefits in the NTT context.